New Delhi, Jan 17: The NIA on Thursday raided five places in Uttar Pradesh and two in Punjab in its probe into a new Islamic State (IS)-inspired module Harkat-ul-Harb-e-Islam and detained four men, officials said. 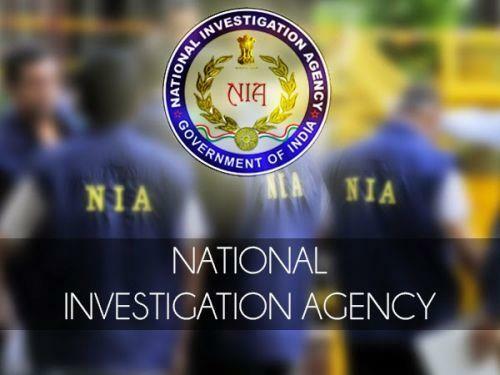 The National Investigation Agency teams launched simultaneous searches at seven locations, including Uttar Pradesh's Rampur, Bulandshahr, Meerut, Hapur and Amroha and Punjab's Ludhiana, early in the day, a senior NIA official told IANS. One of those arrested is a Maulvi from Ludhiana. The fresh searches came five days after the counter-terror probe agency arrested a suspect from Hapur for being affiliated with the global terror outfit. NIA officials on Thursday detained 50-year-old Mohammad Habib, a resident of Kaloli village in Bulandshahr district. The general store owner has spent over 25 years in Saudi Arabia and was likely to be brought to the NIA office in Delhi for questioning, according to an informed source. The source also said that it has detained one Gufran from Amroha's Banskhedi village, one from Ludhiana and another from Uttar Pradesh. From Ludhiana, one Maulvi was detained from a mosque following the raids. Sources said he has been identified as Mohammed Owais. He was detained after a raid at the Madhini mosque on Rahon road early in the day. Owais hails from Rampur in Uttar Pradesh, and has been working in Ludhiana for the past few months. The sources said that raids were conducted in Ludhiana and Amritsar in Punjab. He said that the agency has carried out searches at two villages in Hapur district after getting a tip off from the arrested arms supplier Naeem of Meerut, who was arrested on January 4. The raids that were still underway and were being conducted with the aid of the state police, kicked off after the anti-terror agency got leads from those arrested earlier following interrogations. The agency is also looking into the role of a foreign mastermind behind the new module. The action comes in the wake of a case the NIA registered on December 20 under several sections of the Indian Penal Code, the Explosive Substances Act and the Unlawful Activities (Prevention) Act. It had on January 11, arrested Muhammad Absar from Hapur district. The initial arrests though had come late last year on December 26, when 10 members, including mastermind Mufti Mohammad Suhail of the new module, were arrested from Delhi and Uttar Pradesh after conducting searches at 17 places. The arrested men were allegedly planning to attack some political personalities, security establishments as well as crowded places in Delhi and the National Capital Region, the agency said. The NIA had also seized 25 kg of explosive material, including potassium nitrate, ammonium nitrate, sulphur, sugar material paste, mobile phone circuits, batteries, 51 pipes, remote control car triggering switch, wireless digital doorbell for remote switch, steel containers, electric wires, knife, sword, IS-related literature and Rs 7.5 lakh in cash. Besides, a country-made rocket launcher, 12 pistols, 112 alarm clocks, 100 mobile phones, 135 SIM cards, several laptops and various electronic gadgets, besides 150 rounds of ammunition. The NIA had ever since been carrying out follow-up searches in Uttar Pradesh to identify more suspects of the new IS module.